The recent shake-up in the 2020 NASCAR schedule produced quite a few interesting alignments throughout the season, including the first planned doubleheader since the seventies; however one that has grabbed some headlines is the Gateway race that will see another partnership with the NASCAR Gander Outdoor Trucks and NTT Data Indycar Series. Currently, both series already share one weekend, which is an event at Texas Motor Speedway hosted in June. 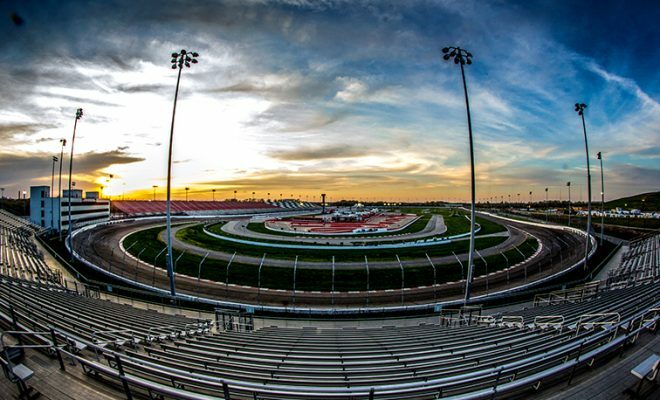 Unlike Texas, which has been on the calendar for a while, the Gateway event for both series has been a relatively recent addition, as the track sat silent for a few years. The Indy Car event has had massive support from regional dealership Bommarito Automotive Group, resulting in some of the largest crowds of the year for the series. 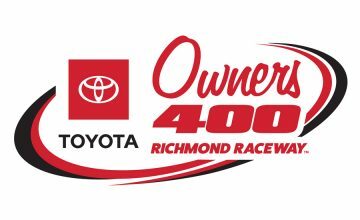 The NASCAR K&N series has been on the undercard for this event, so the fans and promoters are already accustomed to working with a NASCAR series, but now with a series with a bit more star power, AND a playoff event to boot, next year is shaping up to be quite the event. The idea of NASCAR and Indy Car doubleheaders has been a topic of discussion for quite a while. Even as recently as late last month, Adam Stern of the Sports Business Journal reported on Twitter that the two sanctioning bodies have been in very preliminary talks about doubleheaders involving Indy and the Monster Energy Cup series. For years now, Indy Car has been a distant competitor of NASCAR in terms of attracting sponsors, teams, viewers and the like. However, in recent years, Indy viewership has stayed steady or increased, and car counts have gone up, while NASCARâ€™s numbers have slumped. These are seemingly great conditions for the two to work together to fill a track and provide a jammed packed weekend of action. So what is stopping them? Well, a variety of factors. Both series have a plethora of support events that accompany them, and while time on the track, especially for venues with lights should not be an issue, garage space and general facilities would be. Scheduling and finding a date and track that work for both could also be a sticking point. Another point not often brought up is the fact that the tracks have to pay a sanctioning fee to host the races, and itâ€™s a matter of whether the cost of hosting the premier series in their respective discipline will be made up by attracting enough additional fans. Speaking of tracks, there has been a decline in tracks ran by Indy Car that are owned by ISC and SMI because of a feeling of disinterest by the tracks in the series, as they are primarily NASCAR affiliated and hosted. In an article by USA Today that was written in 2015, this feeling of animosity by then Indy Car head Tony George led them to not return to Michigan. Naturally, one last sticking point would be who would be the series that runs as the â€œopening actâ€�, either on a Friday night or Saturday. Both series are pretty stubborn when it comes to this, for understandable reasons. The attitude of wanting to be the headlining act has been a sticking point between Indy Car and the IMSA sports cars regarding their June Six-Hour event at Watkins Glen, which fans have been wanting to see the two co-headline for a while now, and especially that the Indy Cars stopped going to the track (for attendance reasons). However, for both NASCAR and Indy Car, they have new people at the helm, and both of them have come off as much more in tune with what the drivers and teams want, which, surprisingly for some, intersects with what the fans want in some regards. All fans want to get the maximum bang for their buck, and you need not look farther than any forum board or Facebook comment section to see fans stating they no longer go to events because of the cost; maybe not so much the tickets, but the lodging, food, travel expenses no longer give them enough value to justify the cost. 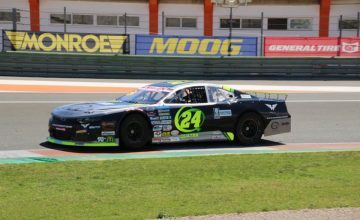 At road course events, itâ€™s more common to see a variety of different disciplines of race vehicles, which for some, give them that extra value they seek. On ovals, the pool of series that contest on them; especially the larger ones, is much smaller. To bring together two premier series in one weekend, even with just some of their support series, if itâ€™s promoted properly, and with the right financial parameters, it would create a certain cannot-miss event, and a great chance to properly introduce fans of the respective series to the other. Lifetime motorsports fan from New York. New to the journalism business, but has been doing photo captures for racing events for a few years now. Follow his journey though the motorsports world here, on Instagram @moloiiiiol and on Facebook at Moloiiiol Motion & Media.